ELIMINATE FOOT/ANKLE PAIN & PLANTAR FASCIITIS WITHOUT ADDICTIVE DRUGS, PAINFUL INJECTIONS OR RISKY SURGERY. Discover pain-free, non-invasive, state-of-the-art medical technology that helps you regain your mobility and independence. Chiropractic and LaserMed treats chronic foot and ankle pain through state-of-the-art, pain-free, non-invasive, FDA-cleared laser Electro Medical technologies. Super-pulsed Laser and Electro Medical have the power to significantly reduce or eliminate foot and ankle pain without the risk of painkillers, injections or surgery. Are You Suffering from Foot Pain, Ankle Pain or Plantar Fasciitis? A survey conducted by the American Podiatric Medical Association in 2014 indicates that the majority of U.S. adults, approximately 77%, have experienced foot pain. However, most suffer in silence. You don’t have to live life on the sidelines any longer. Wouldn’t it be cool to have the healing powers of super heroes? While the lasso of truth or a tiara that doubles as a boomerang is what most frequently comes to mind when thinking of Wonder Woman, comic junkies would tell you that she also has the ability to renew herself … allowing her to rapidly heal injuries at super-human speed. Or there’s Wolverine, who also recently made his return to the silver screen. He’s known for his amazing accelerated healing ability. Modern medicine hasn’t reached superhero strength yet, but we’re getting closer every day. What’s so exciting about chiropractic and laser medicine is that it may help you quickly heal without any pain, cutting, chemicals or side effects. As a result, ankle and foot pain is often overcome so you can once again enjoy living life foot loose and fancy free. There’s no question you’re in pain. But, do you understand what’s causing it? There are many reasons for foot and ankle pain, but the most common culprits include Plantar Fasciitis, arthritis and peripheral neuropathy. Plantar Fasciitis can cause a stabbing pain in the bottom of your foot near the heel. This pain is usually worst with the first few steps after awakening, although it can also be triggered by long periods of standing or getting up from a seated position. Chronic Plantar Fasciitis may develop into a heel spur, which grows on the inside part of your heel bone, which is usually the worst location of your pain. If you have Plantar Fasciitis, LaserMed can help you find relief today! Now, you might be asking yourself, “What the heck is the Plantar Fasciitis?” The plantar fascia is a thin ligament that connects your heel to the front of your foot. It supports the arch of your foot and helps you walk without pain. Unfortunately, pain in this area is one of the most common foot complaints. That’s because your ligaments experience a lot of wear and tear and this can lead to a lot of PAIN. The ligaments in your feet act like shock absorbers, supporting the arch of your foot. Too much pressure on your feet can damage or tear these ligaments. When that fascia on the bottom of your foot is damaged—most frequently due to the wear and tear that comes with age—that causes inflammation, stiffness and PAIN. Tight calf muscles may also contribute to Plantar Fasciitis. A proper stretching and mobility exercise program for your Calf Muscle’s, Foot and Ankle is essential for your care. Who Is at Risk for Plantar Fasciitis? Great question. Here’s the answer. If you ignore the condition, you can develop chronic heel pain. This can change the way you walk. Then you can develop problems with your legs, knees, hips and back. Chronic Plantar Fasciitis may develop into a Heel Spur. Not a good thing! Some try to treat the condition with injections or surgeries that often only make it worse. Steroid injections weaken the plantar fascia ligament and cause potential rupture of the ligament. Surgery carries the risks of bleeding, infection, and reactions to anesthesia-plus nerve damage. What Can You Do to Beat Plantar Fasciitis? If you want the safe way to overcome your foot pain, you pick up the phone and call us today. 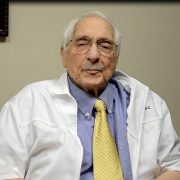 There is a specialized program where we use something called a Chiropractic Foot and Ankle Extremity Adjusting Technique + Warm Laser Therapy. It helps get rid of your foot pain quickly, plus it helps you walk better, run better, and get back to a normal lifestyle. If you’re tired of the foot pain, don’t sit around and think about doing it. Call the office and schedule your appointment now. The longer you wait, the worse the problem will get. Call our Orange County clinics at 714-636-2741 or our Desert clinic at 760-537-4929 to schedule your consultation/exam. If you mention “WEB97” when you call you can receive a special internet rate of $97. We’re typically booked a couple months out, so be sure to call now! Did you know that there are 26 bones and 30 joints in your foot? All of these are held together by muscles, tendons and ligaments, which work together to control foot and ankle motion. 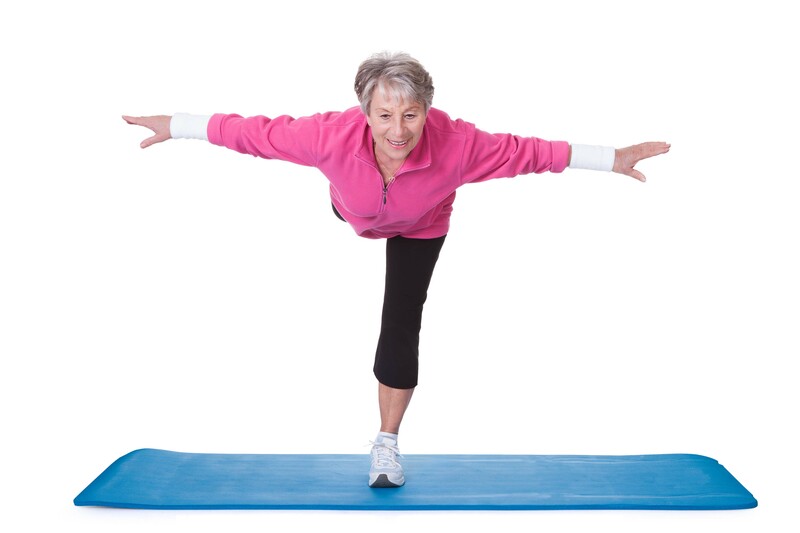 Arthritis limits this motion, often causing severe pain and impeding your ability to walk comfortably. Arthritis comes in many forms, but the most common is osteoarthritis. It is common as you age, resulting from wear and tear to joint cartilage, the soft tissue between joints. 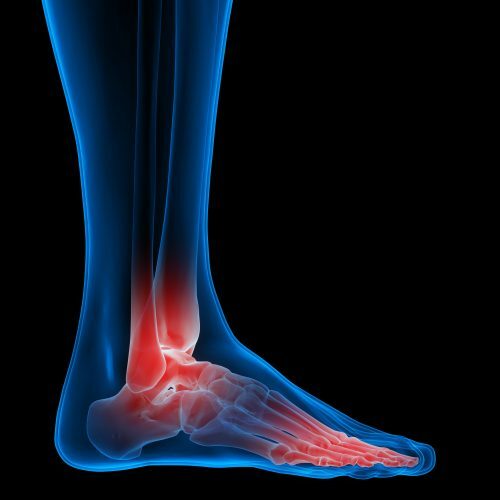 How to Beat Arthritis Pain in the Foot or Ankle with Chiropractic and Laser Therapy. The most important thing you can do to treat arthritis in the foot or ankle is to TAKE ACTION NOW! Prolonging treatment often results in worsening symptoms and pain. One thing is for certain; it’s not going to get better on its own. The ability to remain mobile is critical. Don’t get pigeon-holed into a situation where your mobility becomes dependent on others. Non-invasive, 100% pain-free laser and Chiropractic and Laser Therapy have produced amazing results with thousands of our patients. These therapies work to reduce inflammation, regenerate cells/tissue, increase circulation and reduce pain so you can get back to living life on your terms. Call our office to schedule a consultation to determine if you qualify for laser treatment. 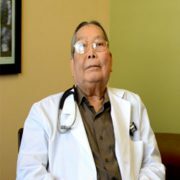 Call our Orange County clinics at 714-636-2741 or our Desert clinic at 760-537-4929 to schedule your consultation/exam. The cost is normally $275, but if you mention “WEB97” when you call you can receive a special rate of $97. 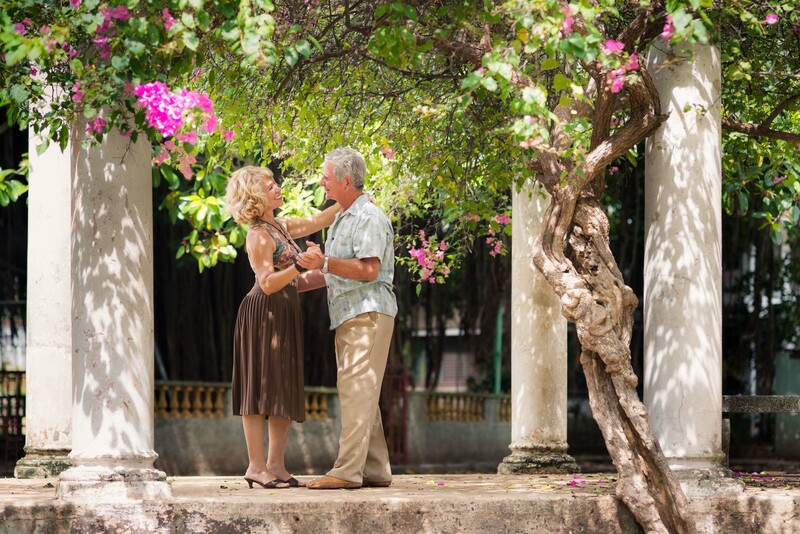 We’re typically booked a couple months out, so be sure to call now! Are you experiencing sensations of burning, stabbing, numbness, throbbing, freezing or prickling? Are you having issues with balance, falling, muscle weakness, bruising, swelling or sensitivity to touch? If so, you may be suffering from peripheral neuropathy. You’re not alone. It is estimated that approximately 20 million Americans suffer from this ailment. Neuropathy is a condition that impacts the peripheral nerves. There are three types of peripheral nerves: motor, sensory and automatic. Their function is to connect the spinal cord to muscles, skin and internal organs. When these nerves are not working properly, they cause uncomfortable and sometimes painful symptoms that often start in the feet. These sensations can also migrate to the legs. The most common cause of peripheral neuropathy is diabetes. Other causes include vitamin deficiencies, auto-immune disorders, medications (especially cancer treatments), thyroid disorders, alcohol abuse, injury, heredity and toxins. The persistent pain and discomfort of peripheral neuropathy often leads people to drastic measures. 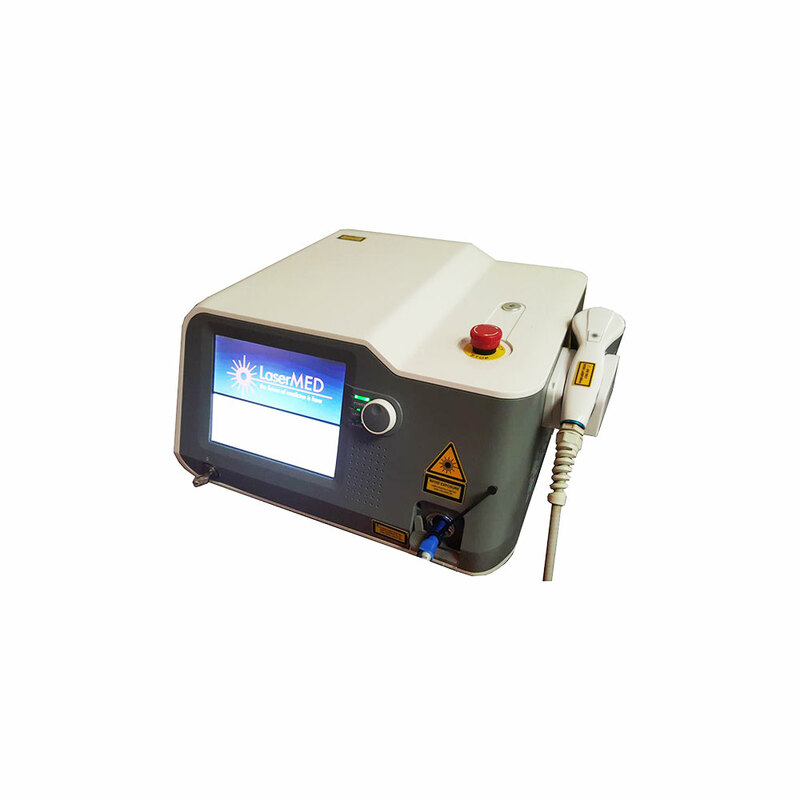 LaserMed offers a 100% pain-free, non-invasive alternative through a variety of laser and Electro Medical Therapy. Look at the photo to see the difference these treatments made for one of our patient’s in just a little over four months. The photobiostimulation provided by laser therapy helps regenerate the nerve’s outer myelin sheath, your nerves’ protective covering. Laser penetrates deep into the tissues, increasing circulation by enhancing nitric oxide production to open up the blood vessels. 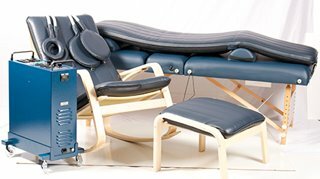 This enables your body to better pump its life-giving blood supply to all areas of the body, including those negatively impacted by neuropathy. 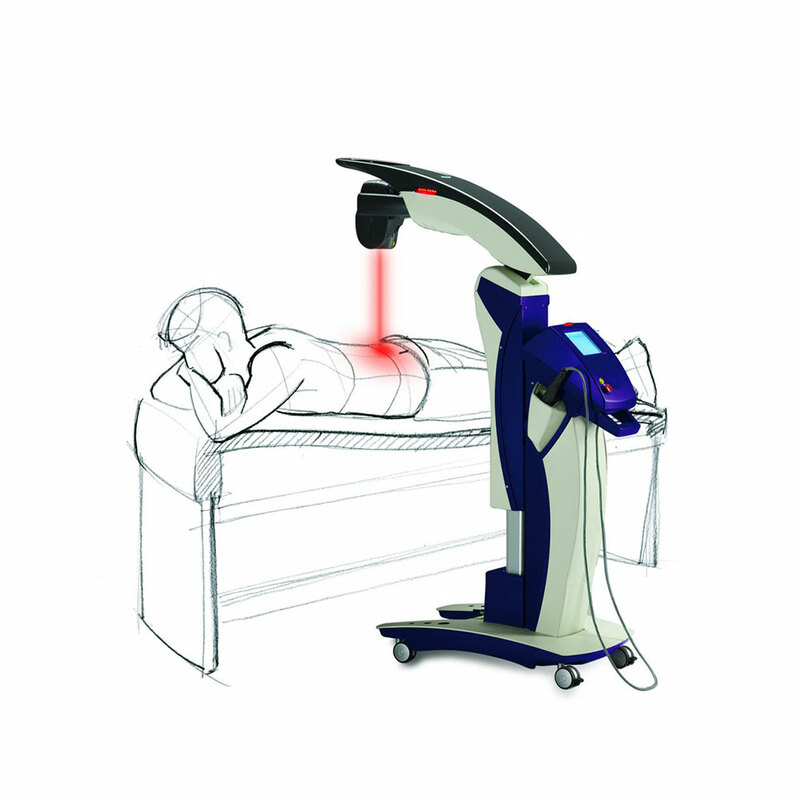 In some cases, we recommend coupling laser with Electro Medical Therapy, which is backed by more than 1,600 published studies in the Library of Medicine. It is delivered through magnetic fields which reduce pain and inflammation, generate platelet adhesion to repair vascular injury, improve circulation/blood/tissue oxygenation, detoxify and regenerate cells and balance the immune system. Discover if your peripheral neuropathy in the foot would benefit from laser or Electro Medical Therapy. Call our office today to schedule your consultation. Once only found in the realm of sci-fi, robots are finally coming of age. Some of the most promising robotic technology is being put to use in the field of medicine. 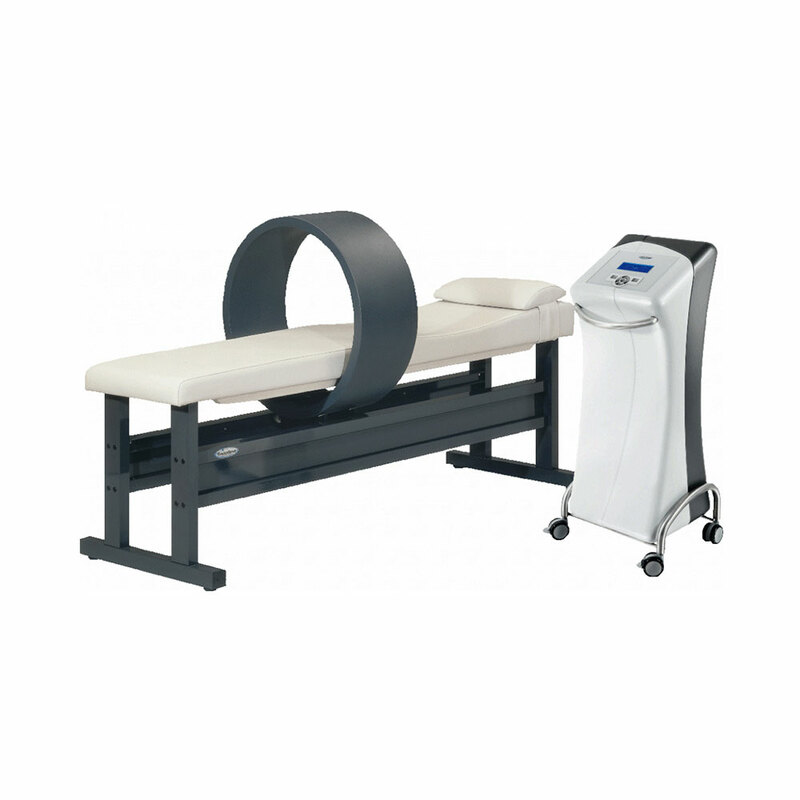 LaserMed uses the MagnaCharger and Fisiofield Maxi PEMF device. Electromagnetic energy plays an important role in regulating body chemistry. 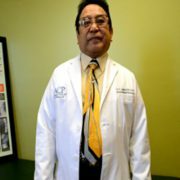 What Other Doctors Say About Dr. Phillip Yoo D.C.